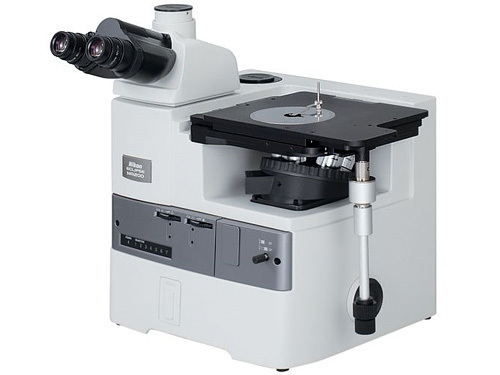 The Eclipse MA200 is an inverted materials microscope with an innovative design that has been optimized for digital imaging and ergonomic efficiency. The MA200 uses integrated intelligence to automatically combine captured images with data on their observation settings for more comprehensive documentation. Additionally, its new and unique box design allows easy access to the sample on the stage and nosepiece, while making the footprint size one third of the conventional model. Focusing mechanism – Focusing nosepiece (Fixed stage) Coaxial coarse/fine adjustment knob (torque adjustable)Coarse adjustment of 4.0 mm per rotation, fine adjustment of 0.2 mm per rotation.